Give your Mustang or Lightning a custom touch with a 5" Ford drag team decal! This is a 3" X 4.75" Ford Drag Team decal sticker. They are sold individually and are made from high grade vinyl decal material for a long lasting finish. Add some classic Ford styling to your Mustang with this decal! 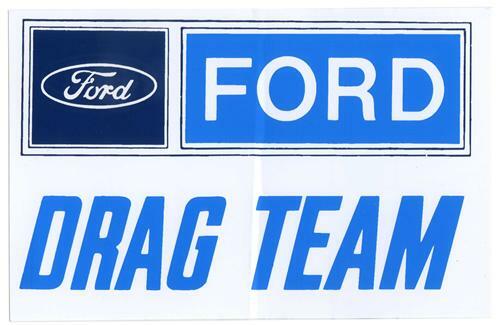 Upload your own picture of the Ford Drag Team Decal 5"